I like nice people. 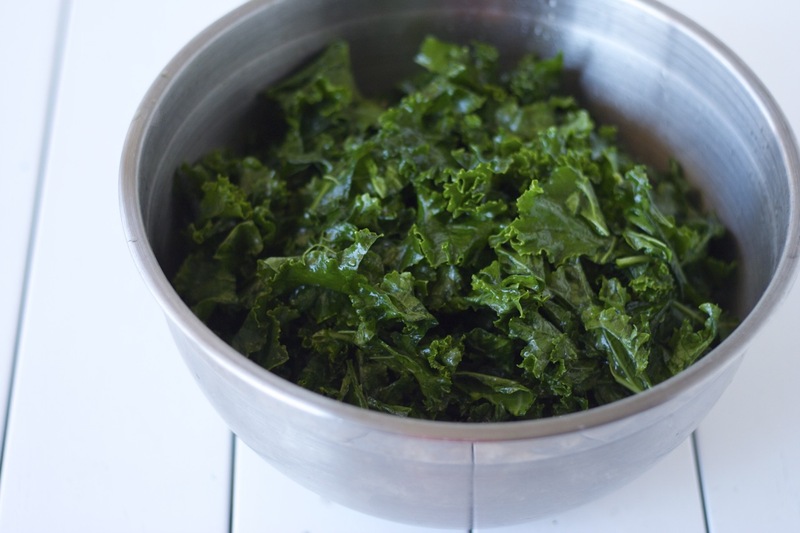 My neighbour Louis surprised me with a bagful of fresh kale from his garden yesterday. He’s one of the lucky few to enjoy a plot at the community garden next to our apartment building. Over the past few weeks, he’s generously shared with me some of his plants and harvest. Have you seen the size of these beautiful leaves? I’m one lucky girl. Fortunately, I had the perfect homemade gift to thank him in return: A jar of homemade raspberry-peach jam I made a couple of weeks ago. I hope he likes it. 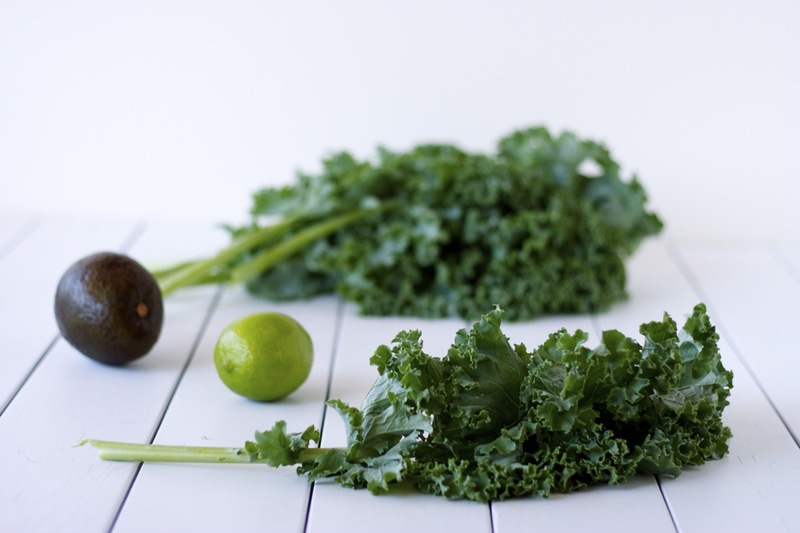 Have you ever tried raw kale? It’s time to find out what the craze is about. 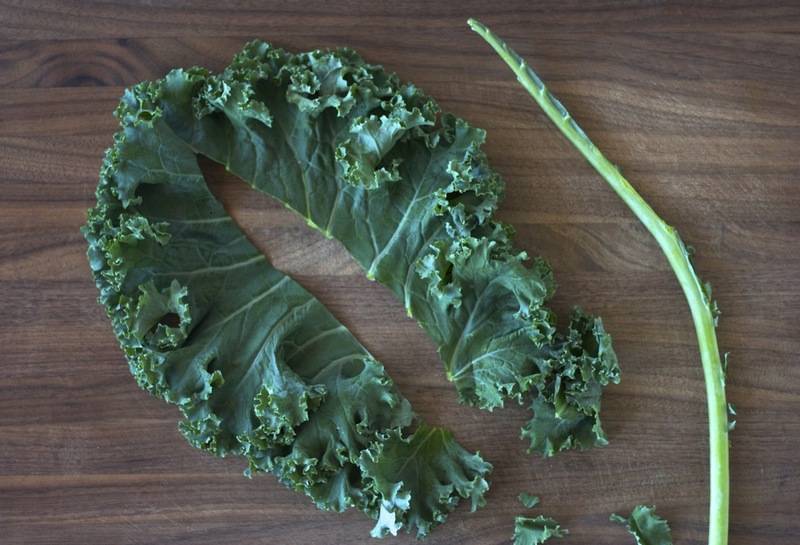 To prepare the kale, lay each leaf flat on a cutting board and run a sharp knife down each sides of the stem. Discard the stems, or use them to flavour vegetable stock. Tear up the leaves to bite-size pieces and place in a large bowl. 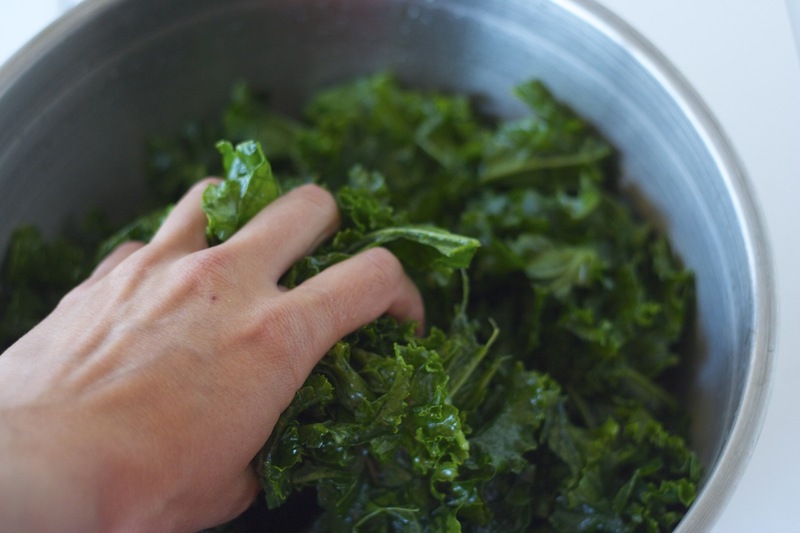 To soften the rough leaves, you must “massage” the kale. 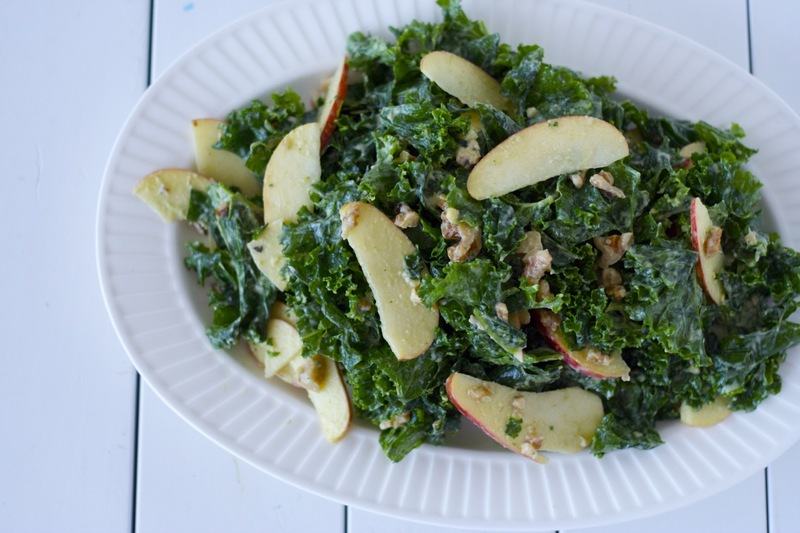 To do this, drizzle the olive oil and juice of half a lemon over the kale. With clean hands, work the oil & lemon into the leaves for a few minutes. The leaves will turn bright green and will soften considerably. Core and thinly slice the apple. Drizzle it with the juice of the (other) half lemon to prevent browning. 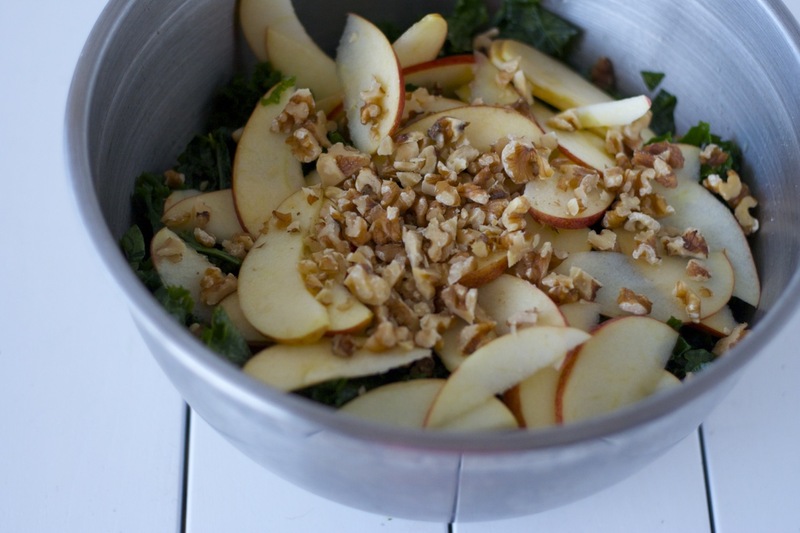 Add the apple and walnut to the massaged kale and set aside. 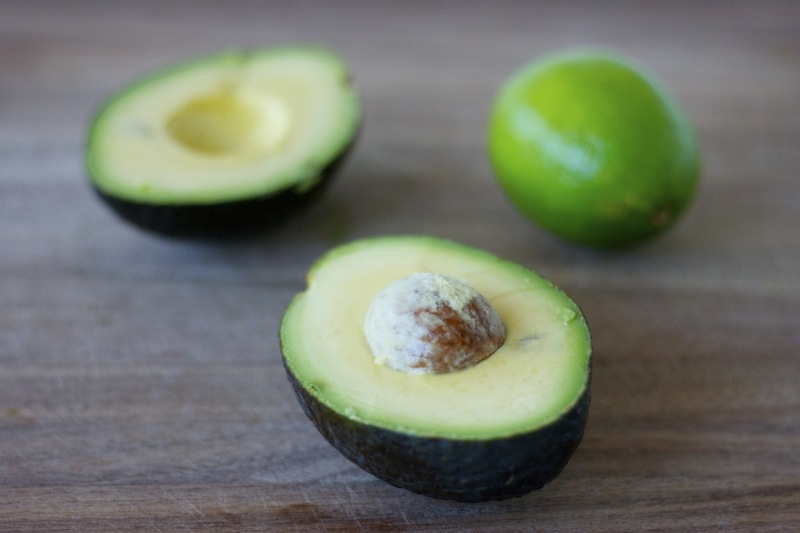 For the dressing: In a food processor, combine all ingredients for the dressing (avocado, tahini, lime juice, water, maple syrup, coriander leaves, cumin, salt & pepper). Process until smooth. 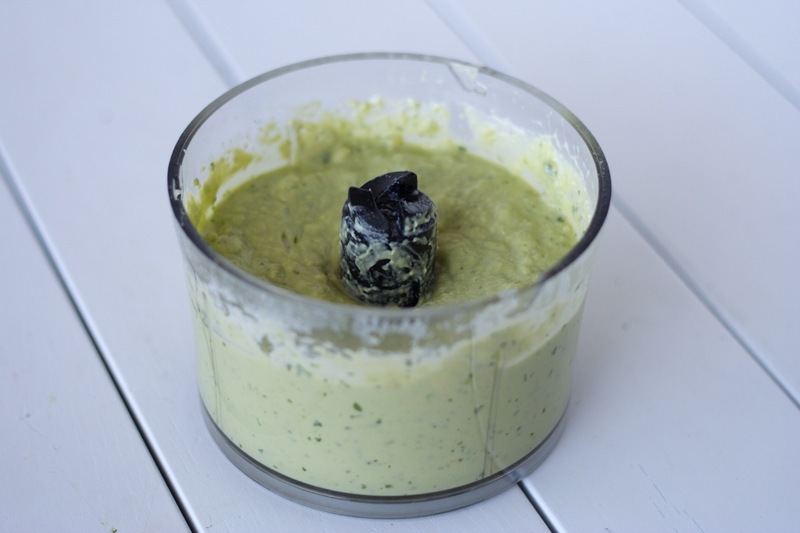 The dressing will be fairly thick and creamy. Adjust seasoning, to taste. Add more water if you wish. 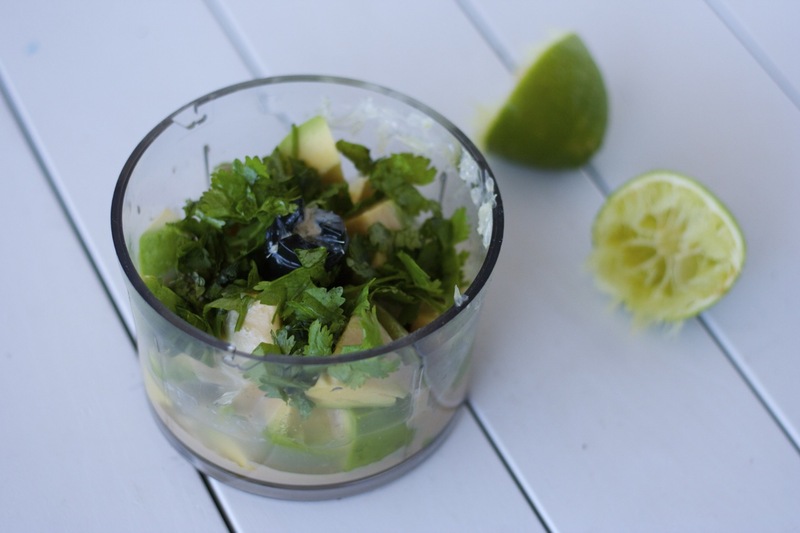 Pour the dressing over the salad (you may not need all of it). Toss and enjoy. Just as delicious the next day. 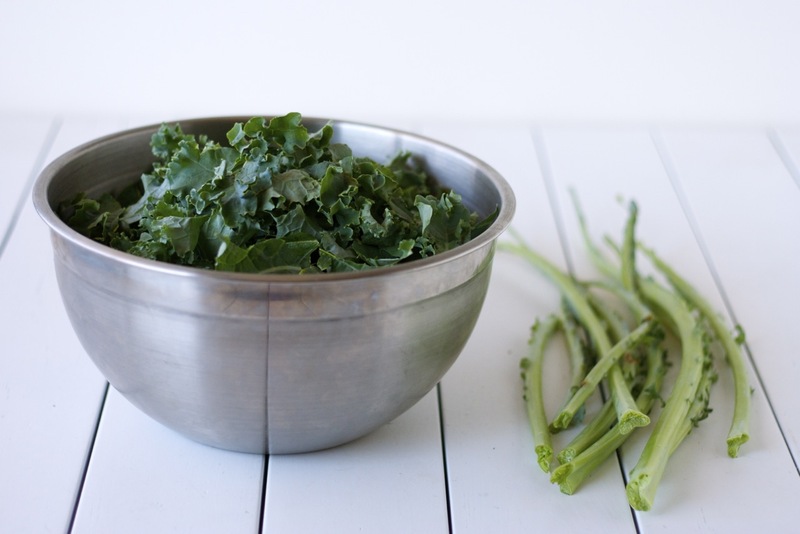 Recipe inspired by Nava Atlas’ Wild About Greens. very delicio….I'm converting to vegetarian….